Coupled systems often show oscillatory rhythms. Whereas these oscillations have been studied for couplings of a few nodes, here we show how the topology of large-scale networks influences oscillations. Oscillations or rhythms have been observed in brain networks, measured by the electro-encephalogram (EEG). Starting from 1929, distinct frequency bands (e.g. alpha, beta, or gamma) were identified. These bands are the same for different species . Similar frequency bands are also observed across different levels of neural organization-from EEG signals to local field potentials. Studying hierarchical modular neural networks , we find distinct frequency peaks of neural rhythms, similar to experimentally observed rhythms in various species, from rats to humans. We define the oscillation interval T that a signal propagates in a feedback loop as the path length of the loop L times the average delay of transmission D over a single connection. The oscillation frequency is thus F = 1/T = 1/(L D). We generated a hierarchical and modular neuronal network based on known cortical anatomy . Peaks in the frequency power distribution arose both at the global and the local level (Figures 1, 2, 3). 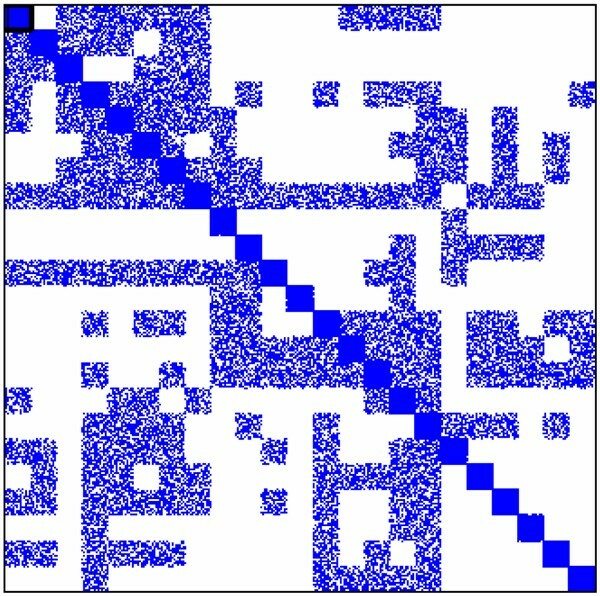 In addition, many ratios were irrational, therefore leading to quasi-periodic patterns with minimum interference between different oscillation frequencies. 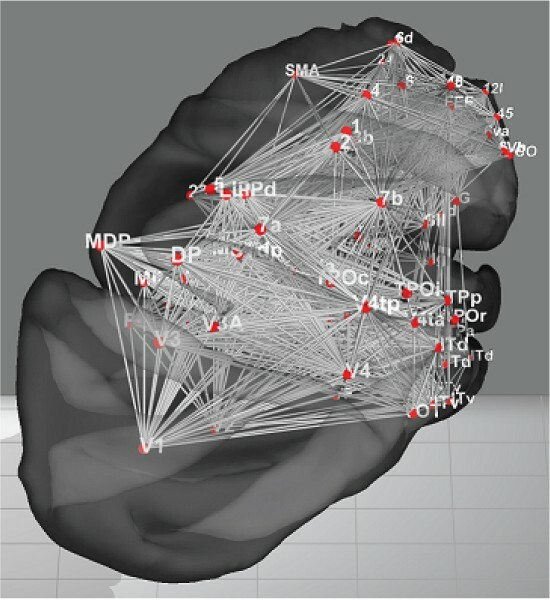 Hierarchical network of cortical regions with modular structure within regions (not shown). 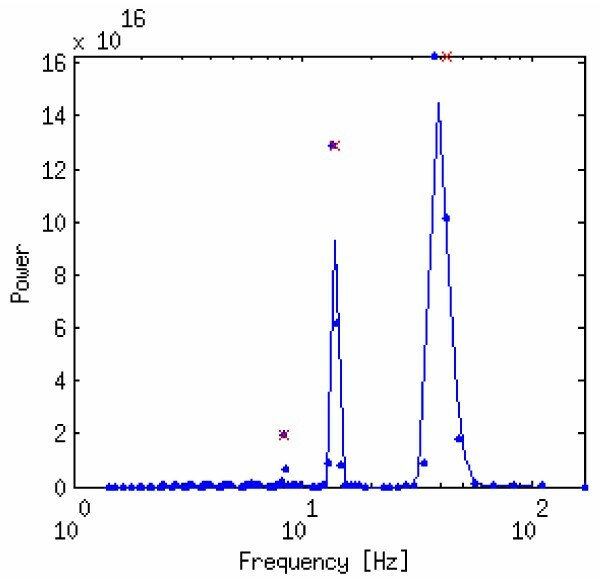 Frequency peaks due to feedback loops in the network. Hierarchical networks based on anatomical connectivity  can generate frequency distributions with (a) distinct frequency peaks, (b) peaks in similar ranges as known from electrophysiology, and (c) with ratios between peaks that are close to the irrational numbers φ or e which are beneficial for low signal interference. We thank EPSRC (EP/E002331/1) and the Royal Society (RG/2006/R2) for financial support.